* Cricket Communications Inc. v. ABC Wireless Choice (2010) -- Obtained preliminary injunction for client Cricket in this trademark and false advertising case in the Northern District of Illinois involving the CRICKET mark in connection with Defendant's cellular stores. Subsequently obtained a permanent injunction and an award of attorneys' fees. * Cricket Communications Inc. v. Abid Nazir dba GSM Cellular (2008-2010) -- Obtained preliminary injunction for client Cricket, enjoining Defendant's use of the marks CRICKET and KRICKET in connection with his cellular stores. Subsequently obtained victory on the merits on summary judgment as well as an award of all attorneys' fees expended in the litigation. * BBU, Inc. et al v. Sara Lee Corporation, et al. (2009) -- Successfully represented BBU in a trademark infringement and unfair competition action relating to its SANDWICH THINS trademark. Obtained a preliminary injunction enjoining Sara Lee's sale of a competing bread product under the THINS mark. Decision affirmed on appeal by the 9th Circuit Court of Appeals. * Callaway Golf Co. v. Akribis Golf Company (2005) -- Represented Callaway Golf in trademark declaratory judgment case against Akribis involving the name of a golf putter. Akribis' claims were voluntarily dismissed with prejudice. 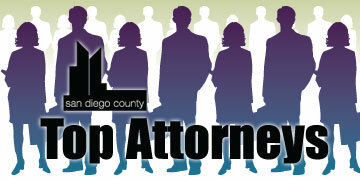 Lisa Martens is a principal in the Southern California office of Fish & Richardson P.C. 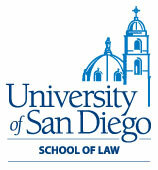 Her practice emphasizes trademark prosecution and litigation for the food service, health care, biotechnology, computer, Internet, and retail clothing industries. Martens has significant experience in managing U.S. and foreign trademark portfolios for large international companies. Her Internet work includes handling domain name disputes and securing domain names in the U.S. and worldwide, as well as providing advice on legal requirements for conducting online sweepstakes and promotions. Martens' practice also includes licensing intellectual property and litigation relating to trademarks, copyrights, trade secrets, and false comparative advertising.